CDIM is pleased to announce the hiring of Bryan Starks, CAC. Bryan obtained an engineering degree from the University of Hawaii and has over seven years’ environmental consulting experience. He is a California Division of Occupational Safety and Health Certified Asbestos Consultant (#17-5914). Prior to joining CDIM, Bryan worked at multiple environmental engineering firms in Hawaii and California providing project-level environmental investigation, remediation and construction management services. Bryan will lead CDIM’s field services group and provide technical support to CDIM’s clients in the areas of hazardous materials assessment, soil and groundwater testing, and site cleanup and remediation. 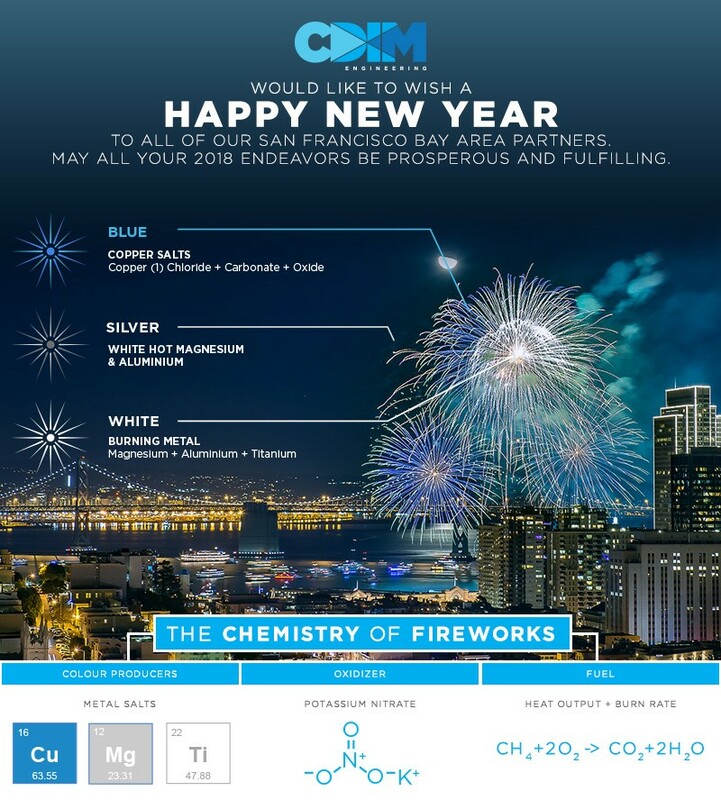 CDIM ended 2017 grateful to all its Clients and partner firms for the opportunity to execute technically challenging engineering and environmental projects that affect San Francisco Bay communities. To express our gratitude, CDIM and its employees engage (volunteer or donation) with three local charitable organizations. Downtown Streets Team: San Francisco DST works collaboratively with homeless and low-income men and women on street beautification projects that empower individuals and acts as a stepping stone into employment, housing, and a better life. SF DST provides its volunteers with a non-cash stipend to help cover their basic needs, and case management and employment services to find housing and a job. SF DST works in the Civic Center neighborhood where CDIM is located. SF Court Appointed Special Advocates: San Francisco CASA transforms the lives of abused and neglected foster youth by providing one consistent, caring volunteer advocate, trained to address each child’s needs in the court and the community. SF CASA has 286 volunteers who have provided services to 300 court-dependent children and adolescents in the past year, which represents nearly 30% of the total number of youth in San Francisco foster services. Bay Area Rescue: The Richmond Rescue Mission helps meet the basic needs of homeless men, women, and children in the Bay Area with food and a clean, safe place to sleep. Homelessness in Contra Costa County increased by 33% in 2016 and Richmond Police estimate that up to 800 people sleep unsheltered on any given night. Confronting this problem in 2016, the Rescue Mission provided more than 77,000 nights of shelter and more than 788,000 meals. I hope this email finds you all with spirit buoyed by a summer of family, friends and vacations. I write now to provide a long overdue update on recent goings-on at CDIM Engineering: our first year's operation, recent hires, and new business credentials. We made it through our first year of business, and thrived! Over the first year, we solidified many of our business processes (project accounting, technology systems, employee benefit plans, safety program, risk management). We were fortunate enough to provide environmental engineering services to clients from a wide range of California’s economy, including: ports, light and heavy industry, property developers, law firms, municipalities, a railroad, one university and a national laboratory. Our work focused on civil engineering, soil / groundwater / sediment remediation, regulatory compliance, and storm water management. We are grateful for the growth opportunities our clients have afforded us, and hope for another year of good work and modest growth. I am pleased to announce that Lishan Zhu has joined CDIM as a staff engineer. Lishan recently graduated from Cornell and has spent the past year as a graduate intern with the Santa Clara Valley Water District. She will support me and my partner Mary Cunningham in all of our projects. We are also joined by Anne Ritcey, who will provide part-time GIS and data processing support. Anne is an experienced data scientist who spent ten years supporting Lawrence Livermore National Labs environmental restoration program. We also continue to expand our network of partner professionals, field staff, and specialty contractors to seamlessly support client projects. CDIM obtained a Class A General Engineering Contractors License with Hazardous Substance Removal Certificate from California Contractors State Licensing Board (# 1020239 A HAZ). The contractor’s license allows us to provide specialized construction services for trusted clients and commensurate with our engineering skill set (remediation, water treatment). We also became certified as a Local Business Enterprise (LBE) through the City of San Francisco Contract Monitoring Division (#CMD082017244—enter "CDIM" in search bar). With our LBE certification, we hope to again provide environmental engineering services to various San Francisco agencies. CDIM is certified for the civil engineering, hazardous waste and remediation and environmental advisory categories. We are very fortunate to have started CDIM at a time of economic growth, and we remain grateful to all the clients and partner firms that have trusted us this past year. CDIM Engineering wishes a happy holiday season to all its valued clients, contractors and colleagues! We wish health and prosperity to you and yours in the coming new year!